Up late with a bisque kiln, so I thought I would say hello and post a few pictures. 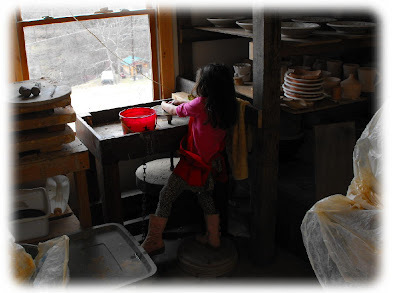 As the title of this post cleverly alludes to, it's that time of the session when things get kind of nerve wracking and I make the mental transition from throwing at the wheel to surface and glazing work. 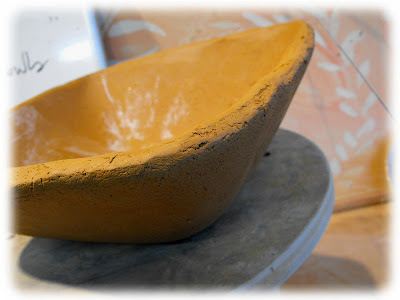 Also speaking of edginess, here are two ways I treated some hump molded bowls (aprés Bandana Pottery) The above edge is just "thumbed" across the edge of the mold while the clay was pretty soft. 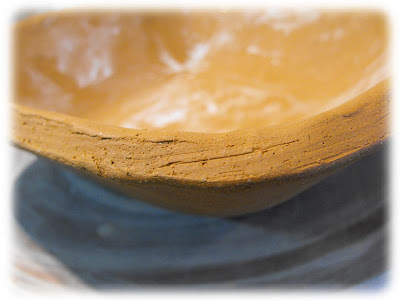 The picture below shows a bowl that has been cut with a wire to get a sharper edge. Which one do you prefer? I sort of like the first example. The process, there, seemed a little Natural, while the wire cutting was awkward. I think that shows in the end. Oh well, I have to explore the possibilities with this "cover". Lillian came up for a spin on the treadle wheel Saturday! She's doing pretty good despite the fact that the wheel head is just below her shoulders! On Sunday it was back to the Seagrove area for the NC Pottery Center's annual membership meeting. 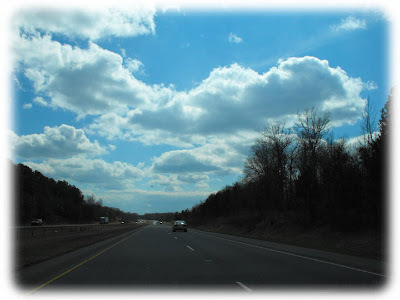 It was a gorgeous drive and pleasantly warm. the town of Seagrove. 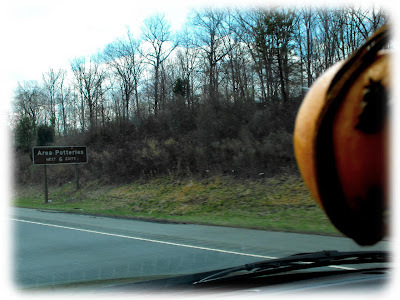 Six exits to pottery!! During the membership meeting I was voted onto the Board of Directors at the Pottery Center so I'll be making frequent trips there. It's a real privilege to be asked to serve on the Pottery Center Board and I'm really excited to be a part of that fantastic nexus for pottery in our state. 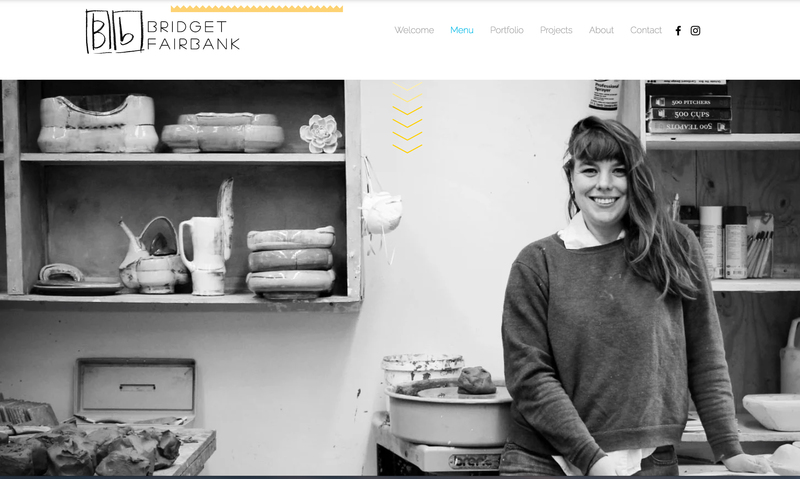 I'll try to introduce you to some of the wonderful potters working there. 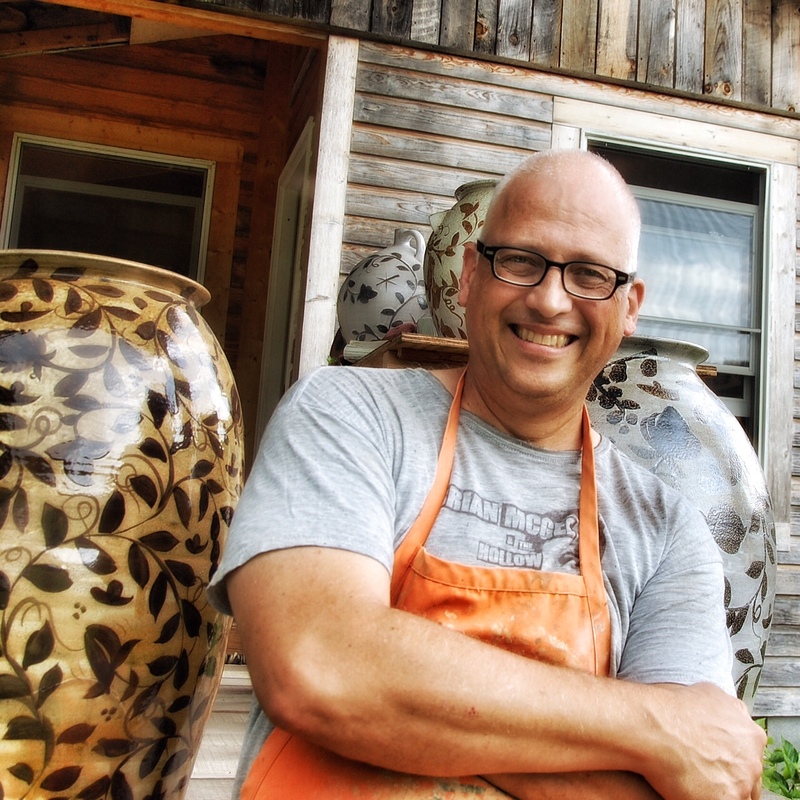 If you're interested in Seagrove and it's potters check out Three Corners Clay blog. 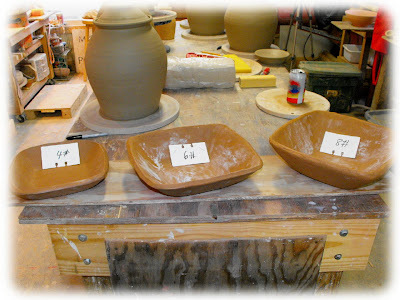 It has announcements about Seagrove area pottery. Back home there was much to catch up on. 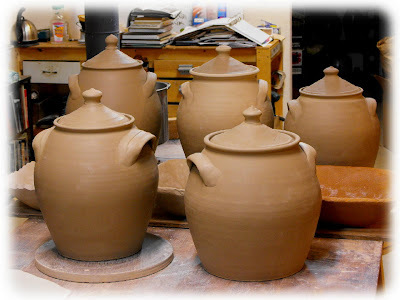 I scrambled to finish up the wet work and these lidded jars, the first in a long while. I can't remember the last session that I made lidded jars. But I've enjoyed these in addition to the knob-and-all's that I made last week. More kiln work is in order for the morrow, hopefully that'll get wrapped up so I can get the brushes out for to begin the leaves and birds (and who knows what else) There's always a surprise that emerges when one sits down for several days with a brush and hundreds of pots! I hope I can record some of the fun. See you then!